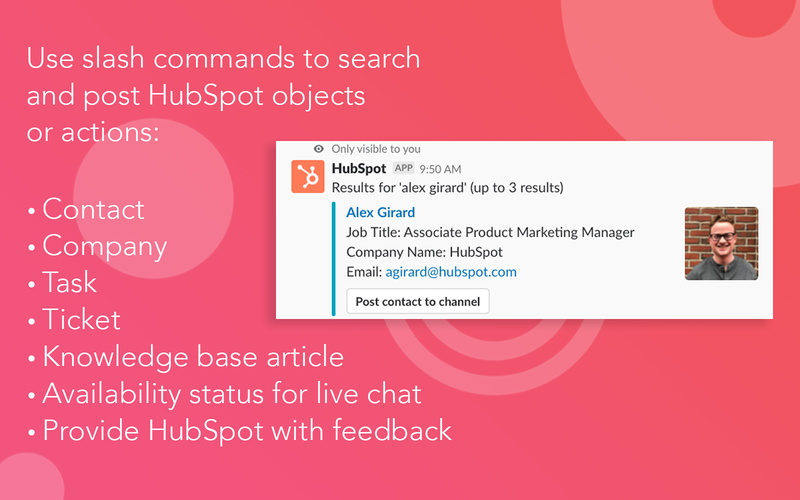 HubSpot will be able to access basic information about your public channels (including names, topics, purposes, creation date, and latest message). 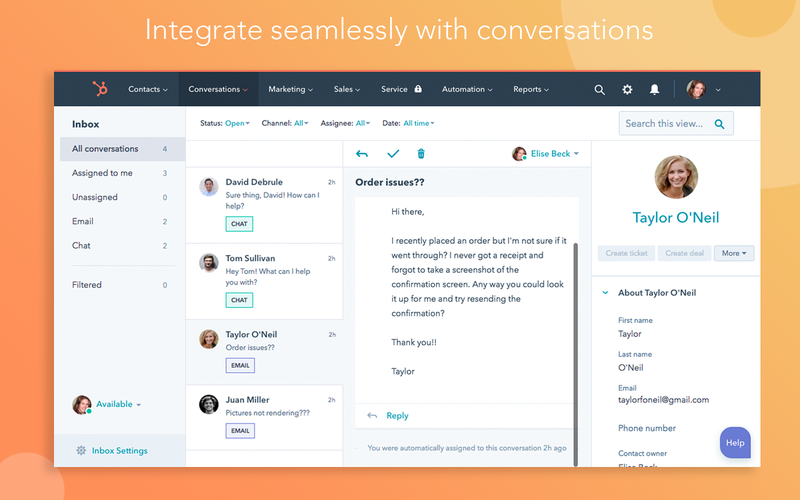 HubSpot will be able to access basic information about your private channels (including names, topics, purposes, creation date, and latest message). 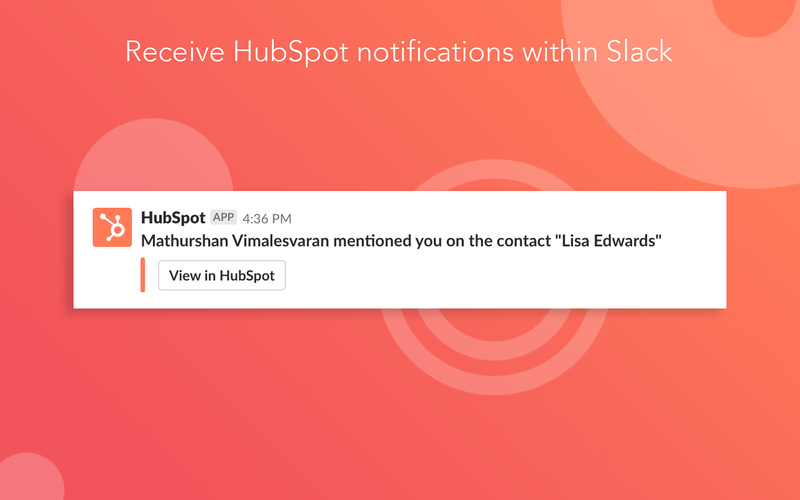 HubSpot will be able to view the email addresses of your Slack workspace’s members. HubSpot will be able to add and remove emoji reactions from messages and files, on your behalf. 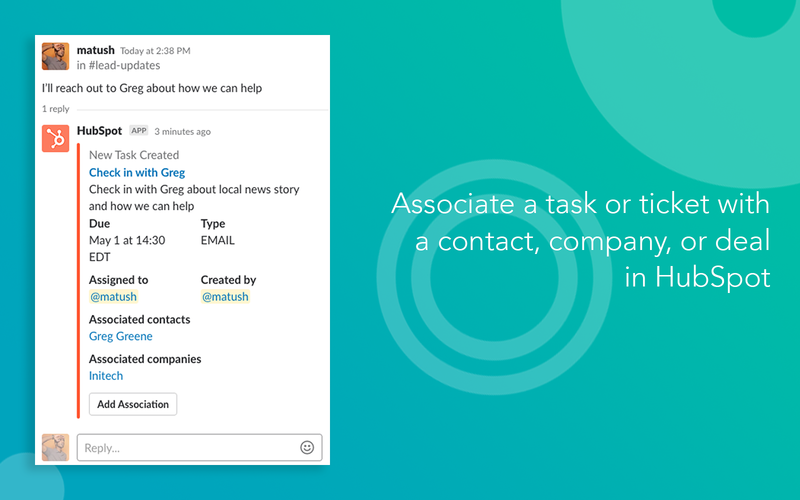 HubSpot will be able to install a bot user that appears in and has access to your workspace’s directory. It can also post messages and view activity on messages in any channel it is invited to. 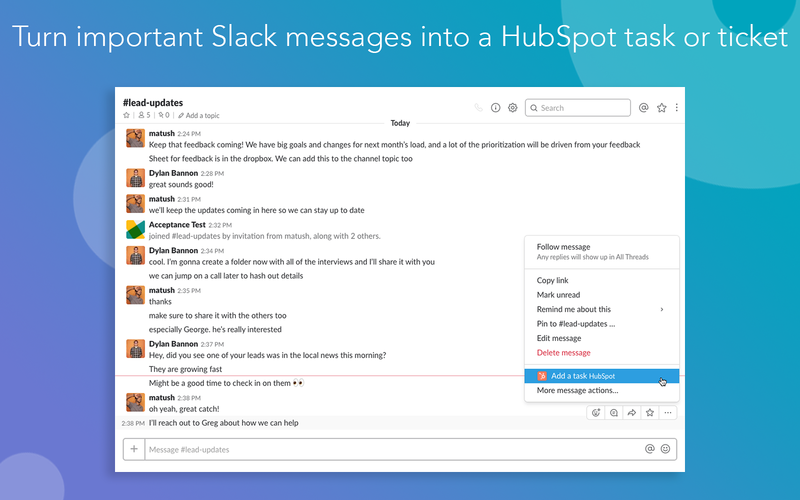 HubSpot will be able to access any messages and activity you can see in public channels. 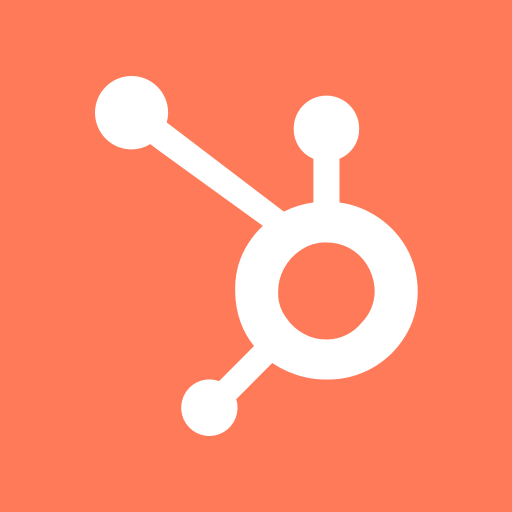 HubSpot will be able to access any messages and activity you can see in private channels. 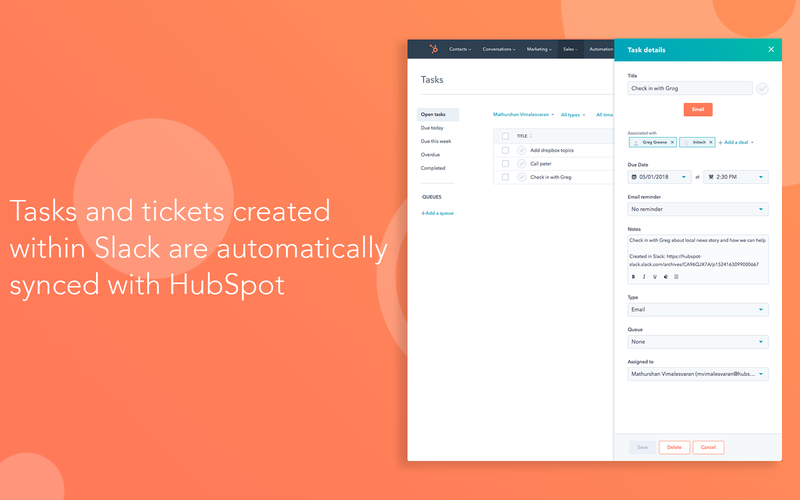 HubSpot will be able to access profile information for all users on your workspace, including names and contact information.